New Flyer and Bonus Air Miles Bonus Miles! Check out our new flyer with prices in effect until July 1. 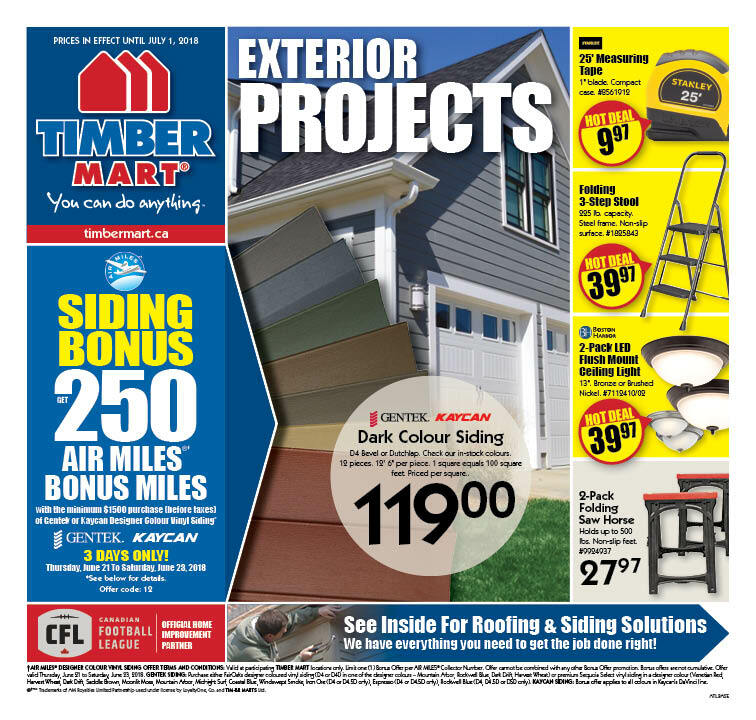 Hot deals on vinyl siding, shingles, windows and doors and backyard projects. For 3 days only, Thursday, June 21 – Saturday, June 23, get 250 Air Miles Bonus Miles with the minimum purchase of $1500 (before taxes) of Gentek or Kaycan Designer Colour Vinyl Siding. ← Mainline Coolers now available, You deserve a cold one !! !